"Is a dream a lie if it don't come true?" For Pokemon fans, being able to become a real-life Pokemon trainer has obviously been a nice dream to have. Not necessarily living in the Pokemon universe, though, as some of the monsters are pretty dangerous as a few Pokedex entries hint at, but still being able to have Pokemon or at least go out into the woods and trap a caterpillar or other animal in a tiny ball to use it as a companion on your journey is just an exciting thought. The problem is that this dream is so far out there that even becoming an astronaut or a rock star is realistic in comparison. So for the oldest fans this has been pushed to the back of the mind more and more these last 20 years, until it's felt like nothing but a stupid childhood dream. Like any repressed memory this could be activated again, and that was what happened in the early fall of 2015. It was then Nintendo announced that, in cooperation with mobile developer Niantic, as an entry in their newly expanded territory of the mobile market they'd release an augmented reality game featuring Pokemon, letting players use the real world to search for the creatures, catch them and then fight with them. While it's not exactly like letting synthetically made animals out in the wild just for leisure, it was still close enough to ignite a spark and make the Pokemon fandom on the internet very excited when that childhood dream would become almost reality. Fast forward to the summer of 2016 and the game, known as Pokemon GO, is released. Now, while the video that was used in the announcement showed some pretty lifelike Pokemon that blend in nicely with the real world, here it's back to more of a cartoon look, but other than that the premise still stands. One thing to strike you first when you turn the game on is how this couldn't be done on Nintendo's own hardware; it uses things like GPS and mobile data on the phone in a way that would be impossible to pull of on the 3DS, so the vision to keep the mobile and handheld market as separate entries still feels like it's holding true (one could doubt that statement if they remembered how Nintendo said that the Game Boy and DS would be two separate product lines). When you play the game, you need to keep the GPS on your phone active and then you'll see the avatar you created walk around on a map of the local area, and he will go where you go. Or rather said, you'll go where you want him or her to go, since that's the only way of getting him or her there. After picking a starter Pokemon the real search will begin and you'll want to start catching the little critters; in this version of the game most of the generation 1 (red, blue and yellow) Pokemon are included, with more to be added in later updates. In the lower right corner of the screen you've got a sort of radar which picks up the signals of nearby Pokemon, and these are marked with one to three small footprint icons. One with three footprints is far away, while they get fewer as you get closer and at no footprints the Pokemon will pop up somewhere close by you and you can tap the screen to initiate battle with it. What's interesting is the function that makes Pokemon types spawn in different area; close to water you'll find water Pokemon and in cities you'll find Eevees and birds; it's pretty broad so it's not always spot-on and you can certainly find some that looks out of place, but it's still a neat idea, but one thing that's really strange is that it seems like all Pokemon prefer to live in cities, as the spawn rate is ridiculously low when you get out on the countryside. Fighting against a wild Pokemon is vastly different from how it's done in the main series game; instead of using one of your own Pokemon to battle here all you can do is to throw balls at it and hope you catch it. If you want to, this is one of the parts of the game where you can use your smartphone camera as an augmented reality tool; if the phone has a gyroscope it's possible to actually see the Pokemon on the ground before you. However, since the novelty of this wears off after a while (even though you can take some nice snapshots) and it both drains battery and makes it somewhat harder to catch the monster it's most likely that you'll go back to using the plain old digital environment that Niantic put in there, and that could've been a bit better worked on both in that they could've made some more areas and frankly it looks a bit too barebones. In a battle with a Pokemon, your main objective is to catch it with your Pokeballs, and you basically tap on them with your finger to grab them and then slide it up to flick them away at the Pokemon; it's easy to get a hang of but hard to master, and needing a few tries is just fine but some Pokemon even at low levels will continue to avoid or break free from your balls even if you hit them, which is pretty annoying. In order to up your chances of catching, while you have a ball in your hand a white circle will appear over the Pokemon and a colored one will continue to shrink and grow inside the white; if you manage to hit within the colored circle you'll have a bigger chance of catching the Pokemon, and even more so the smaller it is. As you keep playing you'll also get access to balls with a better catch rate and berries that'll improve your chances for one try. After you've caught a Pokemon it'll be added to your roster and your Pokedex, and some stardust and a few candies for that evolutionary line will be handed out. Stardust and candies are extremely important components; while the Pokemon won't be able to gain experience and level up like in the main games, they can however be strengthened by using these two. By collecting a number of candies you can evolve your Pokemon; usually you'll get 3 candy per caught monster and an additional one if you trade in duplicate Pokemon to the professor, and depending on what kind of Pokemon it is it can require anything from 12 to 400 candies to evolve. You can also use candies in combination with stardust to do the equivalent of raising the level of a Pokemon; each Pokemon has a CP (Combat Points) value that is set when you meet them and is pretty dependent on your own level. It's an overall measure of how powerful that Pokemon is and a by powering this up you'll make that Pokemon stronger overall. Since the best way to get stardust, candies and trainer experience is to catch Pokemon, you'll want to catch Pokemon even if you already have one of that species. It's a bit of a change from the original games where you usually wanted to defeat monsters that would be duplicates to gain experience for your own Pokemon. The trainer level that was mentioned is what keeps you developing throughout the game; the higher your level the more rare Pokemon you'll see, and the higher CP they'll have. In addition to that, you will also get a handful of items each time you increase in level, which is always nice. You can also get these items by going to a Pokestop; these are found in various places around the globe, usually a few in smaller villages and quite many in cities, and you can tap on them and then spin an icon (with the photo of what the Pokestop-marked landmark actually is!) to get three or four items like additional Pokeballs or healing medicine, but you can also find more rare stuff like eggs. Since this is a free-to-play game you can actually buy items for real-world money too, but if you're going to go down that path it's probably better to buy things that are extremely hard to find like lures (that'll attract Pokemon to a Pokestop for half an hour so you won't have to walk around) or the inventory upgrades instead of just normal Pokeballs. Pokestops take around five minutes to refresh before you can use them again, meaning that if you find an area with a few Pokestops within walking distance you'll be able to farm for items pretty efficiently, especially if it's somewhere Pokemon don't pop up all too often so you won't use up the items by battling them. Walking between Pokestops, or anywhere, is good too because in addition to the Pokemon you'll also get Pokemon eggs from time to time. These are ranked in three categories; ones that need you to walk 2 kilometers before they hatch, some that need 5 and others that need 10. Sadly, it's not enough to have them in your inventory but you have to place them in an incubator for the hatching process to begin, and you only have one incubator by default, while others can be bought. The bad thing about this is how your steps won't count if you let the phone go into rest mode; you need to constantly keep the screen active for it to count, which is one of the reasons it drains battery quickly, especially seeing as you're also using the GPS and hi-speed mobile data access, and maybe even the camera, meaning the battery will drain really fast. But still; hatching a Pokemon gives good trainer experience and you can also get some really rare and strong Pokemon this way so it can absolutely be worth it. When you reach trainer level 5, you'll be introduced to the three factions of the game; Team Mystic, Instinct and Valor (or blue, yellow and red if you'd prefer that). As for the time being, these serve no real purpose except how gyms are run. In addition to landmarks that have spawned as Pokestops, some have turned into gyms instead. 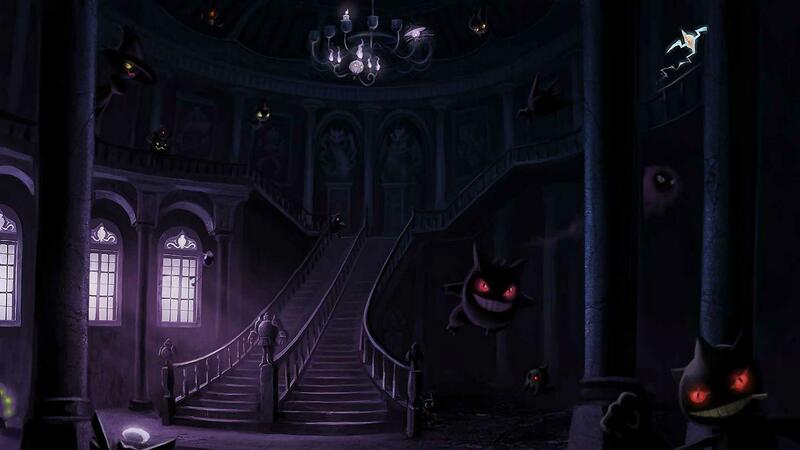 From the beginning they are unpopulated, which makes it easy to just waltz in there and take it over for your team, but unless you've been lucky enough to find somewhere really desolate you'll soon be contested for the title of gym leader. Gyms are where the only real action of the game take place; if you want to take on an enemy gym you'll choose six of your Pokemon and then go up against the ones that are in the gym, from weakest to strongest. If you win, the gym will lose prestige points and if you keep attacking them you'll drive them out of there and can take over the gym for yourself. Battling in a gym feels very different from traditional Pokemon battle gameplay; instead of it being turn-based you'll have to deal with direct action; tap the enemy to do a normal attack, and as you attack a blue bar will fill up below your health bar, and when a section of it is filled you can hold down on the enemy to unleash your strong attack. Attacks and their types work pretty much like in normal Pokemon games though, and even Pokemon of the same species can have different attacks; and there's no way to change these except for evolving. By swiping across the screen when your enemy attacks you'll have the chance to dodge, however this feels like it's really hard to get the timing down on, or maybe it's just a left-handed problem. Once you've taken over a gym and put one of your Pokemon in it to defend it, and this Pokemon of course won't be free to use when fighting other gyms. You can also spar with that Pokemon; this is a one-on-one battle and no matter if you win or lose you'll increase the rank of the gym, and the higher the rank the more people in your faction can add a Pokemon to the gym; you yourself can only have one Pokemon at one gym. One thing that being part of a gym will give you are Pokecoins, which is the currency you get when you spend real-world money on the game too. First you'll get 10 Pokecoins for taking over a gym, and then after 21 hours you'll be able to withdraw an addition 10 and so on. Why they chose such an odd time as 21 hours nobody knows, but you can do this with up to 10 gyms to be able to take out a whopping 100 Pokecoins each day. This might sound like a lot, but 100 Pokecoins are just 20 Pokeballs, and to buy them will cost you less than a dollar, so compared to the effort needed to hold 10 gyms it's not really much you get for it nor is it that reliable, but it's nice to see that you can save up to get the things like bigger item bag which otherwise would've been locked behind a paywall. As for the teams, hopefully they'll become more involved in future versions. That's pretty much all there is to do in the game, and let's think about if for a moment. If we remove the component of that we can actually go out on the town and catch Pokemon, what's left? A barren game, repetitive farming of the same Pokemon and gym battles that are over too quick with less strategy and more button mashing. Now before you start shouting that the game is built around the augmented reality aspect, which is something that can be agreed upon, ask the question how much do that add to the game? Sure, it's nice to see others walking around looking for Pokemon or join up with six other strangers who've come running when you've placed a lure at a Pokestop, but that's not really something the game does. It's somewhat strange seeing that Pokemon GO seems to be better as a social app connecting strangers with the same interests, than it is as a game. In addition to that, the game has a few glaring problems. One of them being that Pokemon spawns are, as mentioned, dictated by an algorithm based off of Google map data. For some reason Pokemon pop up much more frequently when walking in cities than if you're out in the countryside, which really contradicts the idea from the original games that Pokemon are found in tall grass. That Pokestops won't be found out there can be understood, but no Pokemon? If you've ever played the game or seen the anime, you'd know they're everywhere. Also, due to how Pokestops and gyms are built a few feels pretty distasteful; having people walk around a cemetery to get Pokeballs doesn't feel that great, and the limited range leaves you no choice but to go close if you want to use it. It might sound like this clashes with the last paragraph about the people not being a part of the game, but in this case it's the game enabling that; while it's hard to check manually you've got to wonder if Ingress (Niantic's previous game) players were that intrusive seeing as the Pokestop and Gym position data are sourced from that game, though there used for different things. This should really be remedied by increasing the distance you can be from an object to be able to use it; nobody would suffer from that. But in addition to those things the server errors are what's making this game a pretty messy experience to play. Not one day has gone by since the release without the servers acting up in one way or another, and the game frequently freezes when catching a Pokemon, not giving it to you when you restart the game but in almost all cases the Pokeballs you used will be gone. While Niantic is the developer, Nintendo are still the ones with the final say about this game and releasing it this early feels like a fatal mistake and really unlike them; they really should've anticipated that this would be one of the biggest mobile games ever, so why not get enough servers to accommodate this? Or at least, when they noticed that it was starting to spin out of control, close it off temporarily for everyone. As it's been now it's random if you can get in or not, one person in a group of friends can be locked out of it while others play it just fine. While this isn't like many free-to-play games that have a scoreboard that you need to pay to advance in and stay in top of, where a server lockout for just one player would be disastrous for him or her, it still feels like you're messing up progress when the server decides to hiccup. Also, in comparison to other games that's had rough launches like GTA Online here it's a big chance that you were going out just to catch a few Pokemon or spin a few Pokestops to get more balls. In other games, like as mentioned GTA Online, you could just switch over to the single player mode or another game if you couldn't get into multiplayer, here you might waste time walking or even driving if you live far from a Pokestop and wanted to go there because you needed the items. Releasing a game this unfinished is a new unparallelled low in Nintendo history, and hopefully it's nothing that'll pass on to their handhelds and consoles. So overall, as of version 0.29.2 the game is strangely addicting, but more thanks to the nice people you can find when out catching than the actual game itself. So the question is when the novelty of the game and thought of experiencing a childhood dream wears off if Niantic has had the time to fix everything that needs to be fixed. It has way too many bugs to release as a public game (even if it is a beta version it's still public), and while the lack of Pokestops is understandable there are some unexplainable problems with Pokemon not spawning making it much harder and less fun to play for people not living in a well-populated area. There's a lot to work with, and there's no doubt that it'll get better as time goes on, but really feels like this was released to early and isn't that much of a game at the time being. Pokemon Go, at its current state, gets a 2.5 out of 5.